General IR, a Disadvantaged Concentration? Among the 1,318 applicants who applied for admission to the SAIS class of 2016, 14% of them (185 people) applied for the General International Relations program (first choice), which makes it the second most popular concentration after International Development (IDEV), according to the SAIS Admissions Office. Holly Naylor, a second-year concentrator in General IR, said the flexibility was the reason why she chose this concentration. “There is an enormous amount of flexibility in the types of classes one can take. I now have a much better understanding of several issue areas with which I was only vaguely familiar previously. This has opened up several new career possibilities,” she said. 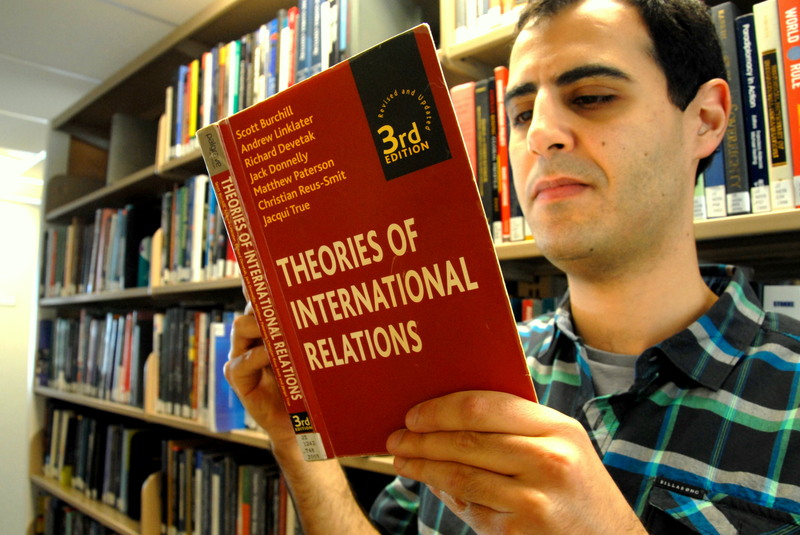 To fulfill the concentration’s requirements, a concentrator in General IR must pass the core exam of Theories of International Relations and take a minimum of six courses from at least three different concentrations out of the five IR functional programs: Global Theory and History, Energy, Resources and Environment, Conflict Management, Strategic Studies and International Law. However, IDEV and the regional programs are not included; thus, taking courses from those concentrations cannot fulfill the General IR’s requirements. If General IR is a flexible program, why does it not include every course at SAIS? Although General IR concentrators have a large number of course options, they have to deal with the disadvantage of not having bidding priority for any over-subscribed courses. This has been one of the reasons why some students admitted into the general program have switched to other concentrations. In September 2013, 43 students were enrolled in General IR at the DC and Bologna campus together, which accounted for only 7% of current students at SAIS Washington and Europe, according to Julie Micek, director of Academic Affairs at SAIS. Booyoung Jang, originally a General IR concentrator, switched to Global Theory and History at the end of her first year at SAIS Europe. “I heard from the academic adviser (at SAIS Europe) that I would be ‘homeless’ in the DC campus,” she said. Unlike other concentrations, General IR does not have an actual department offering specific courses, social activities, internships, trips and academic seminars. This has led to a lack of “community.” Also, the issue of administrative support raises concerns. General IR’s Program Coordinator Starr Lee is currently responsible for providing administrative support for three other concentrations. Likewise, Doran said some students did not think social activities and general assistance provided by the concentration were important. Additionally, based on his interaction with the former and current general IR students, Doran thought most of them enjoyed being independent. “People who concentrate in [the] General International Relations program tend to be independent, self-starters and people who do not rely on other assistance to enable them to make choices. They just do this on their own. And they like it that way,” Doran said. But he acknowledged the concentration could not provide activities and much assistance due to its lack of funding. However, when asked about the possibility that SAIS might abolish General IR, Doran said he had never heard of such a proposal. “[Studying in this concentration] is the greatest expression of what it means to study at SAIS. You are studying International Relations. That is presumably the focus of relations among countries and of the degree itself,” he said.